Lastrada Catering Sp. z o.o. possesses many years of experience in handling various banquets, both low-key as well as large ones which are often logistically demanding. We handle each order individually, providing it with an unforgettable and unique character. 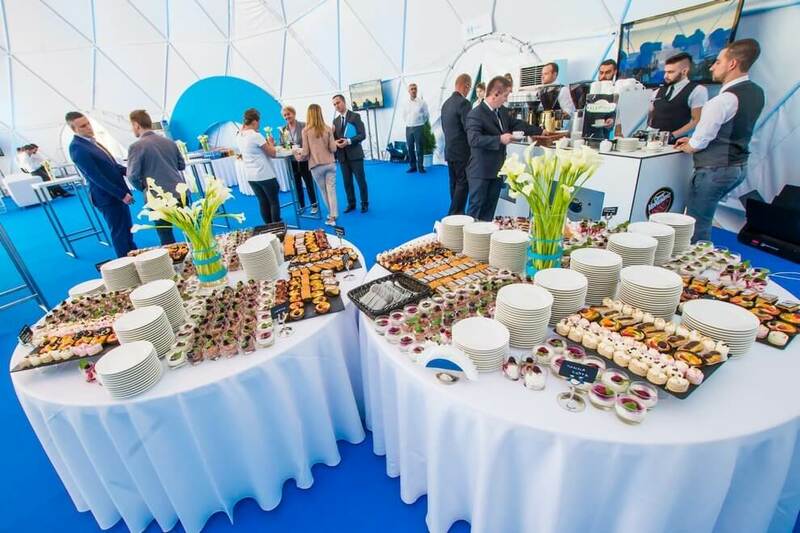 By providing our services at the highest quality level we support organizers, provide them with a sense of security and freedom to leave us with such an important task as satisfying the diverse culinary needs of the event’s participants. But most importantly we are culinary aficionados. Professionals completely in love with our work. Thanks to many years of experience we know how to approach our work with seriousness. We know what to do so that our clients are satisfied and always return with confidence. We’ve learned it from them, and that is why we also know what we can do for you. handling all types of conferences. LaStrada Catering stands also for the Bistro Piast, which is located in Kraków at ul. Piastowska 47. Each day the Bistro offers tasty and homemade dinner sets at a reasonable price. Apart from that, it is a perfect location to organize various company and special events such as anniversaries, birthdays, baptisms, or first communions.